Pink Tea Latte: Gurly's Life | Disney came to me!!! I LOVE DISNEY! I went to Disney World Florida Resort when I was in grade 8 and since then, I have been dying to go back! I have been begging and pleading my friends and family for far too many years to come with me to a Disney theme park, but I have yet to succeed. But perhaps Walt Disney knew just how much I have been pining and yearning to experience the magic of Disney for myself --> DISNEY CAME TO ME! This past Saturday, the imagineers from Walt Disney World Resort in Florida represented USA in the Honda Celebration of Lights at English Bay Vancouver! I want to say this is the first time that a Disney fireworks show took place outside of a Disney theme park! Is that not cool? Vancouverites got their own private Disney show!!! I would say the soundtrack is what made this firework show stand apart from other displays. 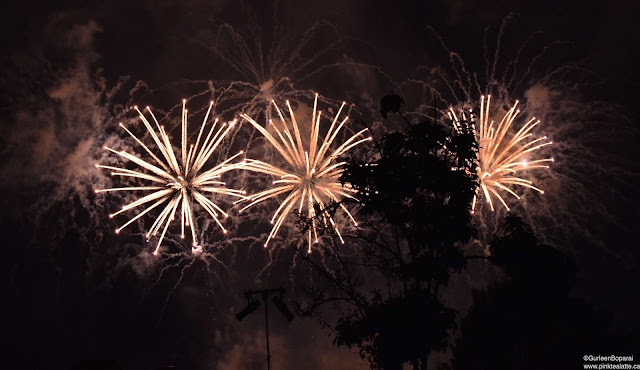 The Disney Fireworks drew a ginormous crowd exceeding the numbers from the other two firework displays in this year's Celebration of Lights. English Bay was absolutely packed with spectators and around 10:00 PM, police officers completely closed off access to the beach from Davie street! Oh yah, there was absolutely no car traffic allowed near the beach, so my friends and I along with everyone else wanting to see the fireworks had to walk down Davie Street from Hornby. But the trek was well worth it and I would do it again! The crowd was positive ranging from young children to elderly! 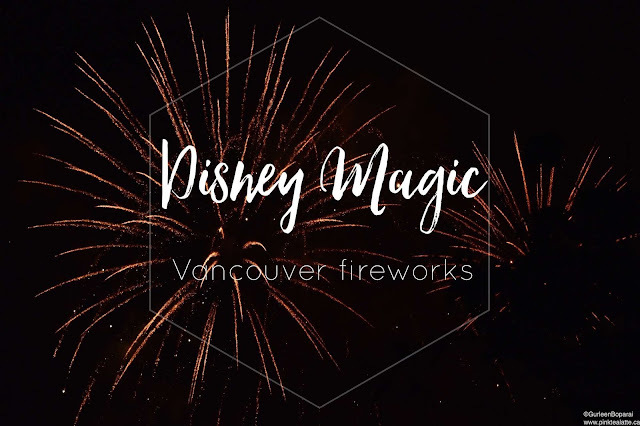 I love how Vancouverites came together that night to just take in the Magic of Disney! My favourite parts were Under the Sea because that song is iconic! As well as Pirates of The Caribbean since I have seen those movies far too many times. It was really cool that they cut the music segment to play a dialogue between Captain Jack Sparrow and the Flying Dutchman. It is super Disney to throw in a dialogue between soundtracks. It was truly a fabulous show and I did feel like "It's where dreams come true!" I am always going to love Disney whether I am 22 years old or 50 years old. Disney is going to always hold a special place in my heart for me! Let me know in the comments below if you love Disney!